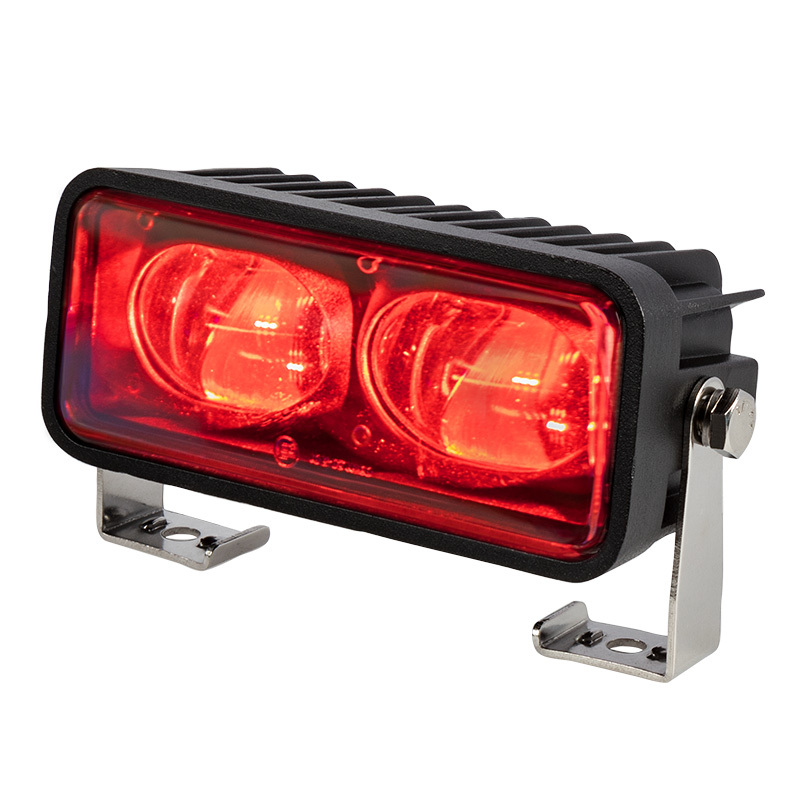 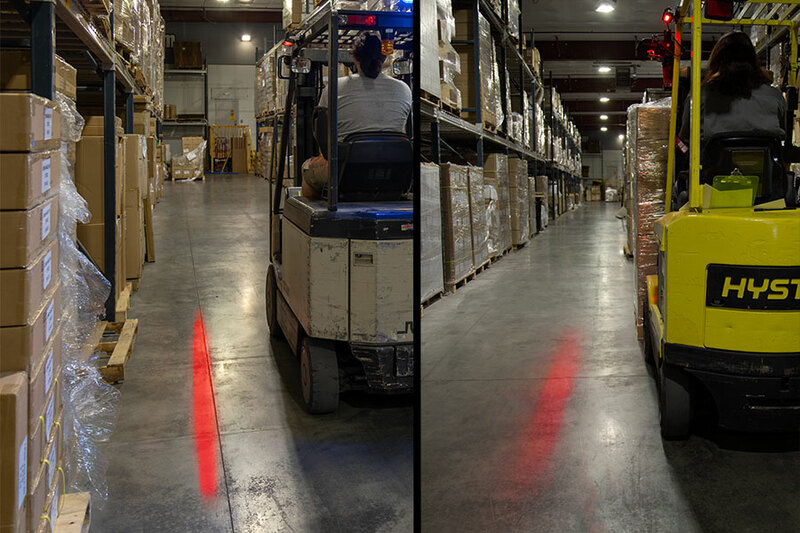 This red LED warning light functions as an order picker/forklift safety light in warehouses, factories, and on loading docks. 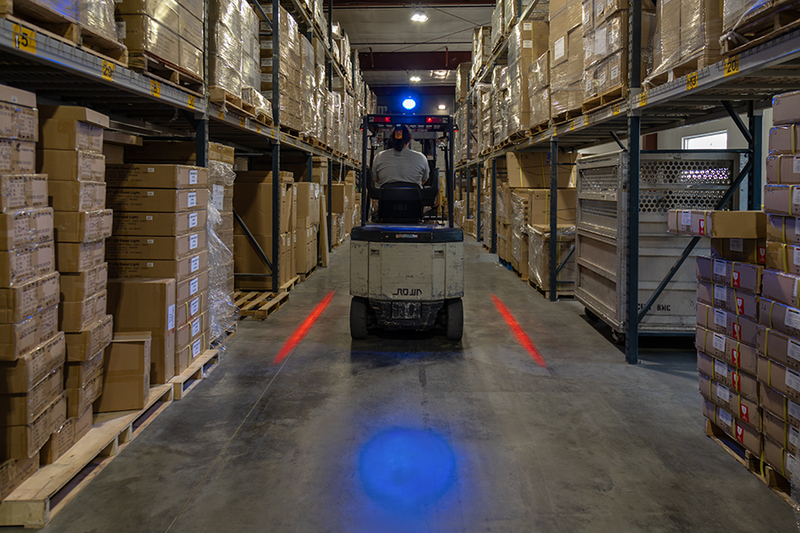 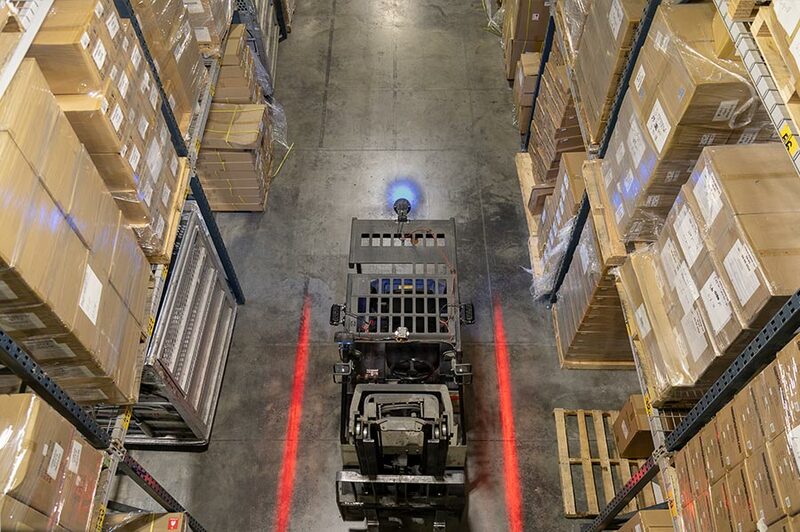 The powerful LED safety light projects an eye-catching, yet unobtrusive, red line onto the ground to alert pedestrians of an approaching warehouse vehicle. 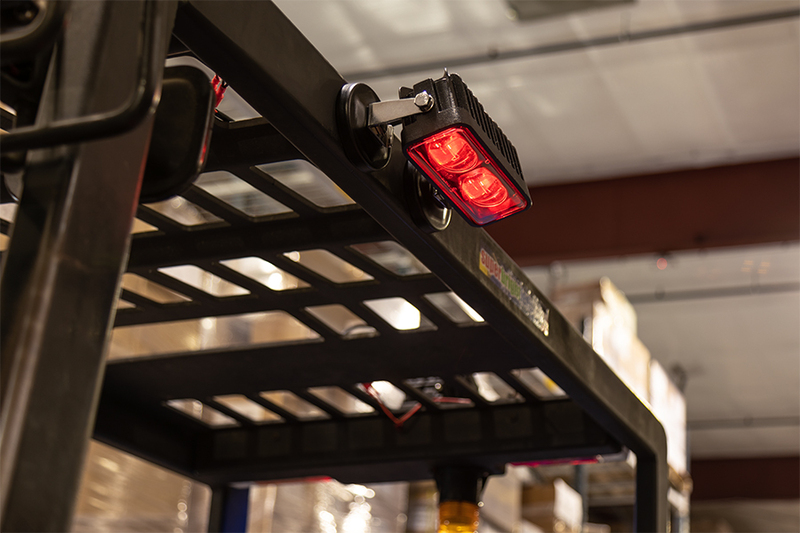 Mount the red safety light on the top front or rear of forklifts, order pickers, emergency golf carts, or other material handling equipment to achieve an optimal projection distance. 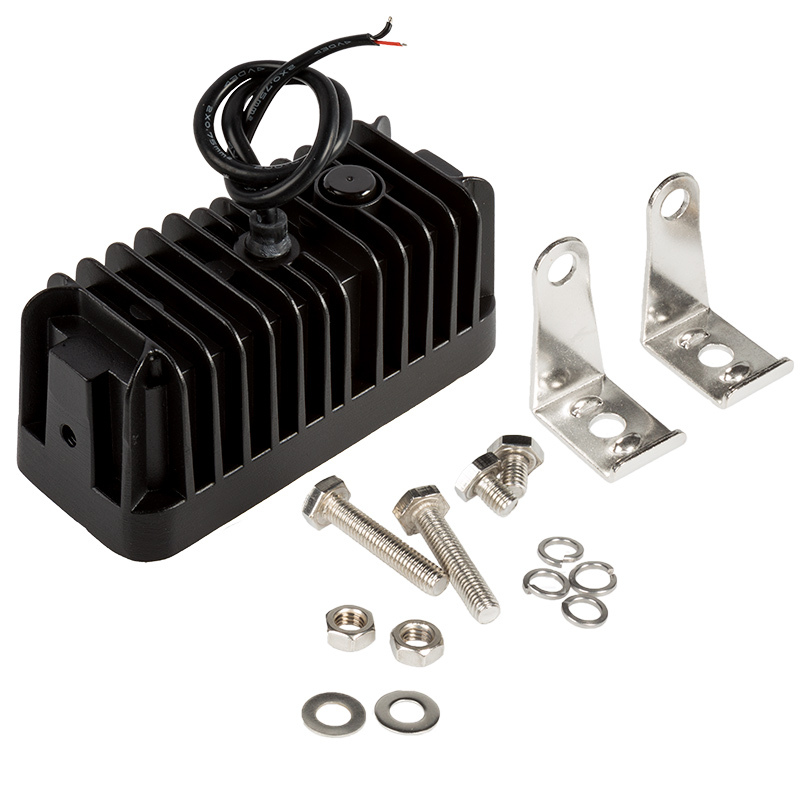 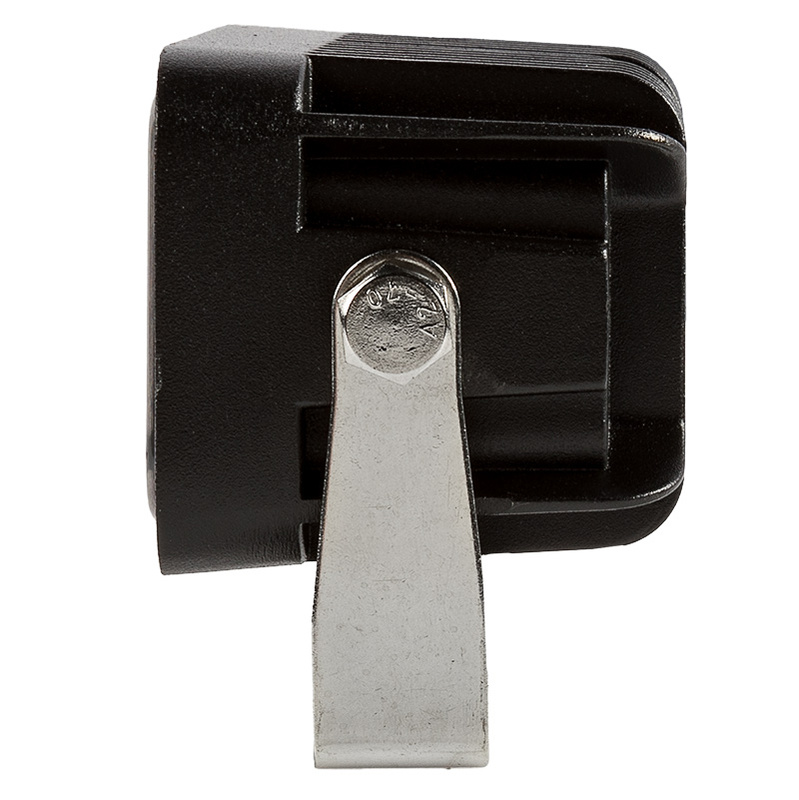 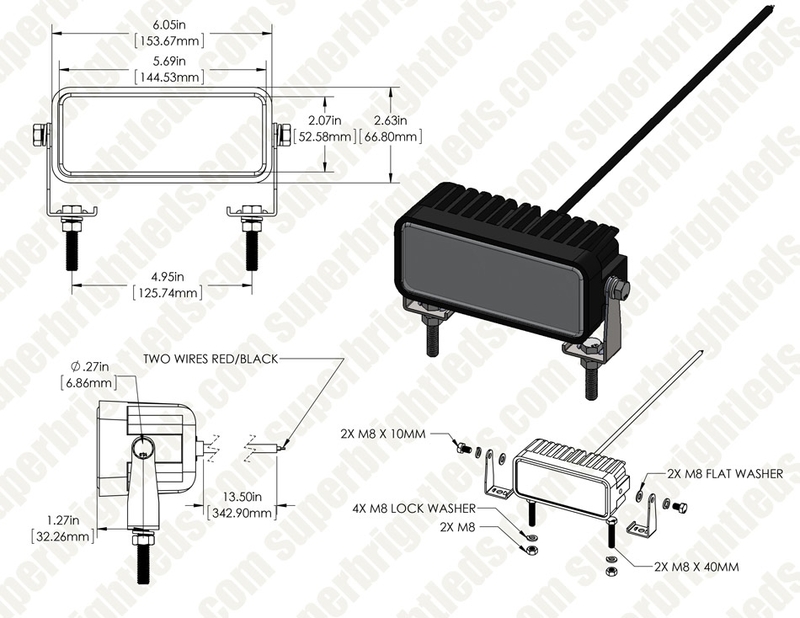 Adjust projection distance by angling the light up or down on its included stainless steel bracket. 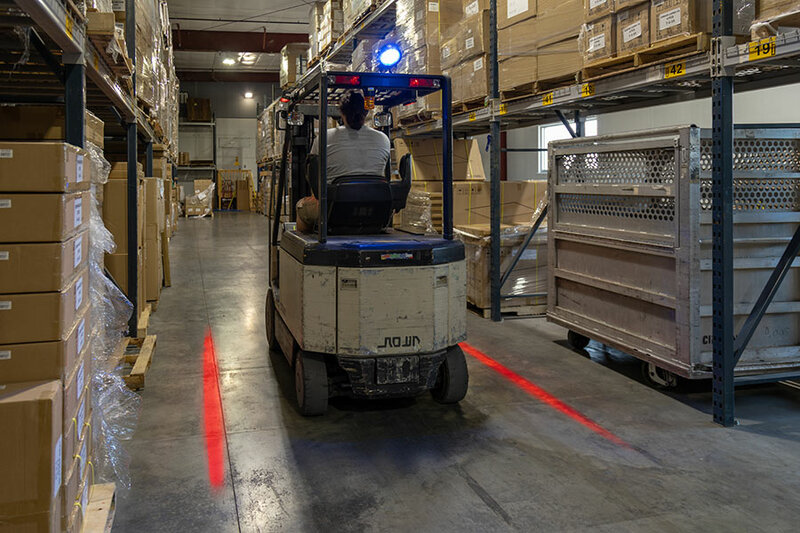 It is best to install a second forklift safety light with a different projection pattern to alert pedestrians of when a vehicle is in reverse. 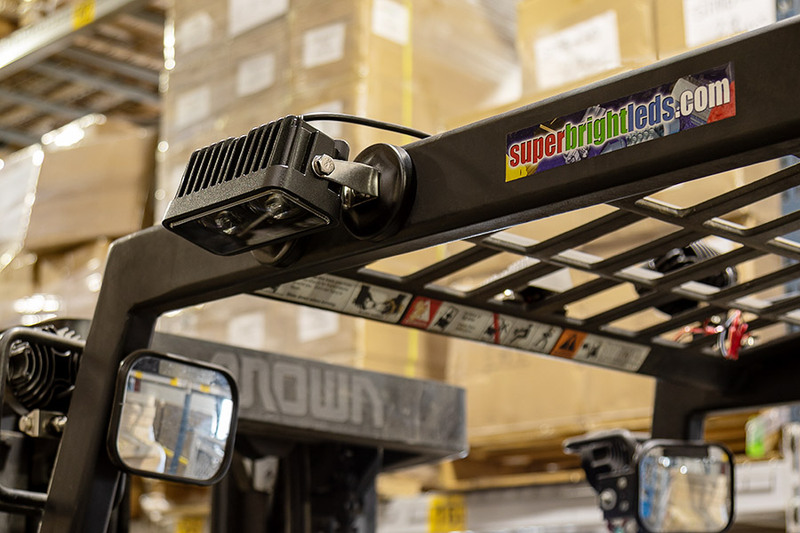 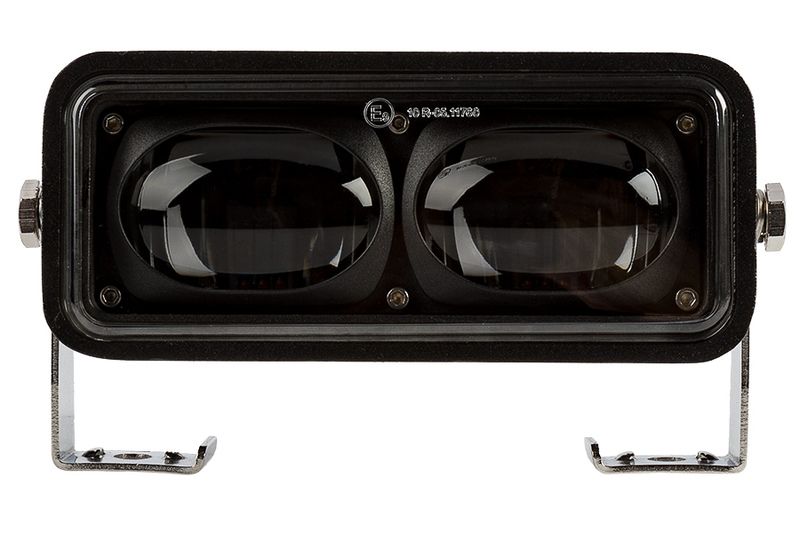 The durable LED light has a die cast aluminum housing with a shatterproof polycarbonate lens and operates within a 10-80 VDC range.